There'll be fun for all the family down on Stockton Market on Saturday 25 May as we celebrate the annual Love Your Local Market campaign with a free family fun-day. Starting at 10am, look out for our extra-large 'Play Your Cards Right' game, free face painting and a fantastic market trail. You can also win market vouchers to spend at the wide range of stalls at Stockton’s traditional market. 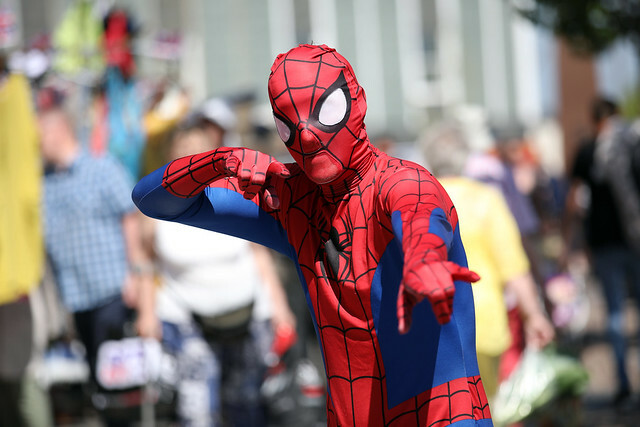 Characters from children’s favourite TV shows and movies will also be making their way to the High Street and entertaining everyone as they go. Love Your Local Market fortnight takes place between 17 May and 31 May and is a celebration of UK markets and we are encouraging everyone to join us for a brilliant day of fun for all family and a chance to grab some bargains from our weekly market. The Borough’s traditional markets have been bringing visitors into town centres for over 700 years and they’re located in Billingham, Stockton and Thornaby. Don’t forget you get 1 hours free parking in any Stockton Borough Council car parks in Stockton Town Centre. For more information please click here.